Donsbach, W. (1975). Die Bedeutung der Publizistikwissenschaft für eine professionelle Journalistenausbildung [The role of communication research for professional training in journalism] (Master‘s thesis). University of Mainz, Mainz. Donsbach, W. (1981). Gesellschaftliche Aufgaben der Massenmedien und berufliche Einstellungen von Journalisten [Societal roles of the news media and professional attitudes of journalists] (doctoral dissertation). University of Mainz, Mainz. Donsbach, W. (1988). Selektive Zuwendung zu Medieninhalten (Selective exposure to newspaper content). [postdoctoral dissertation / Habilitation], University of Mainz, Mainz. Donsbach, W., & Förster, C. (2010). Die Sachsen im wiedervereinigten Deutschland. Erfahrungen und Einstellungen auf der Grundlage von 20 Jahren demoskopischer Forschung [The Saxonians in unified Germany. Experiences and attitudes on the basis of 20 years of survey research]. Dresden: TUDpress. Donsbach, W., Brade, A. M., Degen, M., & Gersdorf, F. (2010). Publizistischer Mehrwert von privatem Ballungsraumfernsehen. Vergleichende Analysen auf Basis von Produzentenbefragungen, Inhaltsanalysen und Zuschauerbefragungen in Sachsen und Baden-Württemberg. Schriftenreihe der SLM Band 20 [Public value of commercial metropolitain television. Comparative analyses on the basis of surveys and content analyses]. Berlin: Vistas. Noelle-Neumann, E., Donsbach, W., & Kepplinger, H. M. (2005). Wählerstimmungen in der Mediendemokratie. Analysen auf der Basis des Bundestagswahlkampfs 2002 [Voter Mood in Media Democracy. Analyses Based on the German Bundestag Election 2002]. Freiburg, München: Verlag Karl Alber. Altrogge, M., Donsbach, W., & Schabedoth, E. (2004). Lokal-TV zwischen Programmakzeptanz und Werbemarkt. Inhalte, Nutzung und wirtschaftliche Chancen des privaten Lokalfernsehens in Sachsen [Local television between acceptance by the audience and by advertisers]. Berlin: Vistas Verlag. Donsbach, W. (2001). Who’s Afraid of Election Polls? Normative and Empirical Arguments for Freedom of Pre-Election Surveys. Amsterdam: ESOMAR. Noelle-Neumann, E., Kepplinger, H. M., & Donsbach, W. (1999). Kampa. Meinungsklima und Medienwirkung im Bundestagswahlkampf 1998 [Kampa. Climate of opinion and media effects in the German Bundestag election 1998]. Freiburg, Mün­chen: Verlag Karl Alber. Altrogge, M., Donsbach, W., Böhm, H. J., & Schabedoth, E. (1999). Lokal‑TV zwischen Heimat‑ und Regionalfernsehen [Local TV between village television and regional television]. Berlin: Vistas. Donsbach, W., & Gattwinkel, D. (1998). Öl ins Feuer – Die publizistische Inszenierung des Skandals um die Rolle der Ölkonzerne in Nigeria [Fuel to the flames. The news media’s stage-management of the scandal about the oil companies’ role in Nigeria]. Dresden: Dresden University Press. Donsbach, W., Jarren, O., Kepplinger, H. M. & Pfetsch, B. (1993). Beziehungsspiele. Medien und Politik in der öffentlichen Kommunikation [The media-politics-relationship]. Gütersloh: Verlag Bertelsmann-Stiftung. Donsbach, W. (1991). Medienwirkung trotz Selektion. Einflussfaktoren auf die Zuwendung zu Medieninhalten [Media effects despite selectivity. Factors influencing exposure to news media content]. Köln, Weimar, Wien: Böhlau. Donsbach, W. (1982). Legitimationsprobleme des Journalismus [The journalistic profession’s problem of legitimacy]. Freiburg, München: Verlag Karl Alber. Donsbach, W. (Ed.). (2008). International Encyclopedia of Communication, 12 volumes. Wiley-Blackwell. Donsbach, W., & Traugott, M. W. (Eds.). (2008). Handbook of Public Opinion Research. Los Angeles, London, New Delhi, Singapore: Sage Publishing. Donsbach, W., & Jandura, O. (Eds.). (2003). Chancen und Gefahren der Mediendemokratie [Chances and risks of media democracy]. Konstanz: UVK. Donsbach, W. (Ed.). (1997). Public Relations in Theorie und Praxis [Public relations in theory and practice]. 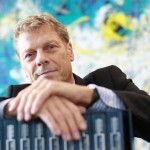 München: Reinhard Fischer. Donsbach, W. (2012). Evaluierung Medienprogramm Südosteuropa [Evaluation: Media Program Southeasteurope]. Berlin: Konrad-Adenauer-Stiftung. Donsbach, W. (2009). Evaluierung Regionales Sektorprogramm Medien und Demokratie in Lateinamerika [Evaluation of the program Media and Democracy in Latinamerica]. Berlin: Konrad-Adenauer-Stiftung. Donsbach, W., Salmon, C.T., & Tsfati, Y. (2014). The Legacy of Spiral of Silence Theory: An Introduction. In W. Donsbach, C. T. Salmon, & Y. Tsfati (eds. 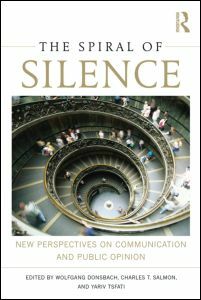 ), The Spiral of Silence: New Perspectives on Communication and Public Opinion. New York, NY: Routledge, 1-18. Donsbach, W., & Mothes, C. (2012). The dissonant self. Contributions from dissonance theory to a new agenda for studying political communication. In C. T. Salmon (Ed. ), Communication Yearbook 36 (pp. 3-44). New York, NY: Routledge. Donsbach, W. (2012). Comparing Journalism Cultures. In F. Esser, & T. Hanitzsch (Eds. ), The Handbook of Comparative Communication Research (pp. 262-275). London, New York, NY: Routledge. Donsbach, W. (2011). The importance of political polls in political communication. In A. Carthew, & S. Winkelmann (Eds. ), Political polling in Asia-Pacific (pp. 9-18). Singapore: Konrad-Adenauer-Stiftung. Donsbach, W., & Brade, A. M. (2011). Nothing Is As Practical As a Good Theory: What Communication Research Can Offer to the Practice of Political Communication. The International Journal of Press/Politics, 16(4), 508–522. Donsbach. W. (2010). Audience Selectivity and Media Power – A Brief Research History. In E. Vartanova (Ed. ), Content, Channels and Audiences in the New Millennium: Interaction and Interrelations (pp. 22-29). Moscow: Faculty of Journalism, Lomonosov MSU – MediaMir. Donsbach, W. (2010). The Global Journalist: Are Professional Structures Being Flattened? In B. Dobek-Ostrowska, M. Glowacki, K. Jakubowicz, & Sükösd, M. (Eds. ), Comparative Media Systems. European and Global Perspectives (pp. 153-170). Budapest, New York, NY: CEU Press. Donsbach, W. (2010). Journalists and Their Professional Identities. In S. Allen (Ed. ), The Routledge Companion to News and Journalism (pp. 38-48). London, New York, NY: Routledge. Donsbach, W. (2010). Exposure to Political Content in Newspapers: The Impact of Cognitive Dissonance on Readers’ Selectivity. In P. Schulz (Ed. ): Communication Theory. Thousand Oaks, CA: SAGE Publications (in print for 2010) [Reprinted from Donsbach, W. (1991). European Journal of Communication, 6, 155-186]. Donsbach, W., & Haumer, F. (2009). The Rivalry of Nonverbal Cues on the Perception of Politicians by Television Viewers. Journal of Broadcasting and Electronic Media, 53(2), 262-279. Donsbach, W. (2009). Cognitive Dissonance Theory – Roller Coaster Career. How Communication Research Adapted the Theory of Cognitive Dissonance. In T. Hartmann (Ed. ): Media Choice. A Theoretical and Empirical Overview (pp. 128-149). London, New York, NY: Routledge. Donsbach, W., & Fiedler, T. (2008). Journalism School Curriculum Enrichment. A Midterm Report of the Carnegie-Knight Initiative on the Future of Journalism Education. Joan Shorenstein Center for Press, Politics, and Public Policy, Harvard University. Donsbach, W. (2008). Factors Behind Journalists’ Professional Behavior: A Psychological Approach to Journalism Research. In M. Löffelholz, & D. Weaver (Eds. ), Global Journalism Research (pp. 65-78). Malden, Oxford, Carlton: Blackwell Publishing. Donsbach, W. (2008). Journalists’ Role Perception. In W. Donsbach (Ed. 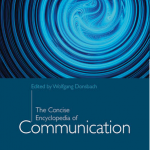 ), The International Encyclopedia of Communication (Vol. 6) (pp. 2605-2610). Oxford, UK, Malden, MA: Wiley-Blackwell. Donsbach, W. (2008). Extra-Media Data. In W. Donsbach (Ed. ), The International Encyclopedia of Communication (Vol. 4) (pp. 1701-1702). Oxford, UK, Malden, MA: Wiley-Blackwell. Donsbach, W. (2008). Festinger, Leon. In W. Donsbach (Ed. 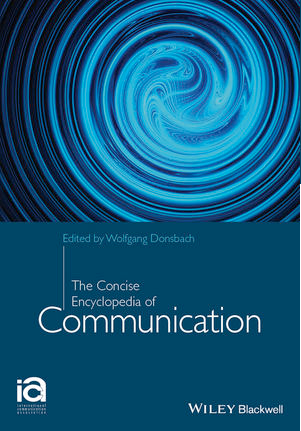 ), The International Encyclopedia of Communication (Vol. 4) (pp. 1801-1803). Oxford, UK, Malden, MA: Wiley-Blackwell. Donsbach, W. (2008). Cognitive Dissonance Theory. In W. Donsbach (Ed. ), The International Encyclopedia of Communication (Vol. 4) (pp. 1801-1803). Oxford, UK, Malden, MA: Wiley-Blackwell. Donsbach, W., & Traugott, M. W. (2008). Introduction. In W. Donsbach, & M. W. Traugott (Eds. ), Handbook of Public Opinion Research (pp. 1-5). Los Angeles, London, New Delhi, Singapore: SAGE Publishing. Donsbach, W., & Hartung, U. (2008). The Legal Status of Public Opinion Research in the World. In W. Donsbach, & M. W. Traugott (Eds. ), Handbook of Public Opinion Research (pp. 431-440). Los Angeles, London, New Delhi, Singapore: SAGE Publishing. Donsbach, W. (2006). The identity of communication research. Presidential address. Journal of Communication, 56(3), 437-448. Reprint with Spanish abstract: Signo y Pensamiento, 30(60), 18-29. Donsbach, W., Lipset, S. M., Noelle-Neumann, E., Traugott, M. W., & Worcester, Sir R. (2005). Editorial: Authors’ and reviewers’ preferences for modes of submitting and reviewing manuscripts. International Journal of Public Opinion Research, 17(4), 395-398. Donsbach, W., & Patterson, T. E. (2004). Political News Journalists: Partisanship, Professionalism, and Political Roles in Five Countries. In F. Esser, & B. Pfetsch (Eds. ), Comparing Political Communication. Theories, Cases, and Challenges (pp. 251-270). Cambridge: Cambridge University Press. Donsbach, W. (2004). Psychology of News Decisions. Factors Behind Journalists’ Professional Behavior. Journalism, 5(2), 131–157. Donsbach, W., & Jandura, O. (2003). Chances and Effects of Authenticity. Candidates of the German Federal Election in TV News. Harvard International Journal of Press/Politics, 8(1), 49-65. Donsbach, W. (2003). Objectivity in Reporting. In D. H. Johnston (Ed. ), Encyclopedia of International Media and Communication (pp. 383-391). San Diego: Academic Press. Donsbach, W. (2000). Public Opinion Polls: Legal Regulation. In R. Rose (Ed. ), The International Encyclopedia of Elections (pp. 246-247). Washington, D.C.: Congressional Quarterly. Donsbach, W. (2000). Journalism Research. In H. B. Brosius, & C. Holtz-Bacha (Eds. ), German Communication Yearbook (pp. 159-180). Cresskill: Hampton Press. Donsbach, W. (1997). Survey Research at the End of the Twentieth Century: Theses and Antitheses. International Journal of Public Opinion Research, 9(1), 17-28. Donsbach, W. (1997). Media Thrust in the German Bundestag Election, 1994: News Values and Professional Norms in Political Communication. Political Communication, 14(2), 149-170. Donsbach, W. (1996). Guided Perception: Characteristics and Effects of Media Reality. Equid Novi – African Journalism Studies, 17(1), 106-111. Brosius, H. B., Birk, M., & Donsbach, W. (1996). How Do Text-Picture-Relations Affect the Informational Effectiveness of Television Newscasts? Journal of Broadcasting & Electronic Media, 40(2), 180-195. Patterson, T. E., & Donsbach, W. (1996). News Decisions: Journalists as Partisan Actors. Political Communication, 13(4), 455-548. Donsbach, W. (1995). Lapdogs, Watchdogs and Junkyard Dogs. Media Studies Journal, 9(4), 17-30. Donsbach, W. (1994). The German Elections: What Part Did the Media Play? The Public Perspective, 6(9), 21-23. Donsbach, W., & Brosius, H. B. (1991). Panel Surveys by Telephone: How to Improve Response Rate and Sample Quality. Marketing and Research Today, 19, 143-151. Donsbach, W., Brosius, H. B., & Mattenklott, A. (1993). How Unique Is the Perspective of Television? A Field Experiment on the Perception of a Campaign Event by Participants and Television Viewers. Political Communication, 10(1), 37-53. Donsbach, W., & Klett, B. (1993). Subjective Objectivity. How Journalists in Four Countries Define a Key Term of Their Profession. International Communication Gazette, 51(1), 53-83. Donsbach, W., Kepplinger, H. M., & Noelle-Neumann, E. (1991). West Germans’ Perceptions of NATO and the Warsaw Pact: Long-term Content Analysis of Der Spiegel and Trends in Public Opinion. In H. Rattinger, & D. Munton (Eds. ), Debating National Security. The Public Dimension (pp. 237-268). Frankfurt am Main: Lang. Donsbach, W. (1991). Exposure to Political Content in Newspapers: The Impact of Cognitive Dissonance on Readers’ Selectivity. European Journal of Communication, 6(2), 155-186. Donsbach, W., & J. Antoine (1990). Journalists and the Polls: A Parallel Survey Among Journalists in France and Germany. Marketing and Research Today, 18, 167-174. Donsbach, W. (1989). 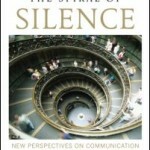 The Challenge of the Spiral of Silence-Theory. Communicare, 8, 5-16. Brosius, H. B., & Donsbach, W. (1989). Resource Optimisation and Sample Quality in Telephone Surveys. Marketing and Research Today, 17, 96‑106. Donsbach, W. (1989). The Steps Have Become Smaller – But More Efficient. An Essay on the State-of-the-art in Media Effects Research. Communicatio: South African Journal for Communication Theory and Research, 15, 57‑61. Donsbach, W. (1987). The Influence of Poll Data on Public Opinion – Empirical State-of-the-Art and the Problem of Democratic Theory. In European Society for Opinion and Market Research (Ed. ): Opinion Polls (pp. 311-348). Amsterdam: ESOMAR. Kepplinger, H. M., Donsbach, W., Hamdane, M., Kembi, M. A., & Skik, R. (1986). The Impact of Television on Rural Areas of Tunisia. A Panel Field Experiment on Changes in Social Perception, Attitudes, and Roles After the Introduction of Television. Revue tunisienne de communication, 10, 107‑161. Kepplinger, H. M., & Donsbach, W. (1986). The Influence of Changes in Camera Perspective on the Perception of A Speaker. Communicatio: South African Journal for Communication Theory and Research, 12(2), 38‑43. Reprint: Donsbach, W. (1987). Der Einfluss von Perspektivwechseln auf die Wahrnehmung eines Redners. In H. M. Kepplinger et al. (Eds. ): Darstellungseffekte (pp. 125‑135). Freiburg i.B. : Verlag Karl Alber. Kepplinger, H. M., & Donsbach, W., (1990). The Impact of Camera Perspectives on the Perception of a Speaker. Studies in Educational Evaluation, 16, 133-156. Kepplinger, H. M., Donsbach, W., Brosius, H. B., & Staab, J. F. (1989). Media Tone and Public Opinion. A Longitudinal Study of Media Coverage and Public Opinion on Chancellor Kohl. International Journal of Public Opinion Research, 1(4), 327-342. Kepplinger, H. M., & Donsbach, W. (1986). The Influence of Camera Perspectives on the Perception of a Politician by Supporters, Opponents and Neutral Viewers. In D. L. Paletz (Ed. ), Political Communication Research: Aroaches, Studies, Assessments (pp. 63-71). Norwood. Donsbach, W. (1983). Journalists` Conceptions of Their Audience. Comparative Indicators for the Way British and German Journalists Define Their Relations to the Public. Gazette: the international journal of mass communications studies, 32(1), 19‑36. Donsbach, W. (1981). Legitimacy Through Competence Rather Than Value Judgments. The Concept of Professionalization Re-considered. Gazette: the international journal of mass communications studies, 27(1), 47‑67. Donsbach, W., Rentsch, M., Mothes, C. & Walter, C. (2012). ‘If news is that important, it will find me’? Nachrichtennutzung und –wissen junger Menschen in Deutschland. Politische Bildung, 45(4), 138-152. Donsbach, W. (2012). Die Sachsen zwanzig Jahre nach der Wiedervereinigung. Erfahrungen, Bewertungen und Befindlichkeiten (The Saxons twenty years after reunification. Experiences, evaluations, and mentalities). In M. Borchard, & T. Schrapel (Eds. ), Gerechtigkeit und die wirtschaftliche und kulturelle Entwicklung in den neuen Ländern (pp. 33-56). St. Augustin, Berlin: Konrad-Adenauer-Stiftung. Schmidt, A., & Donsbach, W. (2012). „Grüne“ Werbung als Instrument für „schwarze“ Zahlen. Eine Inhaltsanalyse ökologischer Anzeigen aus deutschen und britischen Zeitschriften 1993 bis 2009 [‚Green‘ advertisement. A content analysis of German and British magazines 1993 to 2009]. Publizistik, 57(4), 75-93. Donsbach, W. (2012). Hausaufgaben noch immer nicht gemacht: Versäumnisse und Konzepte der Journalistenausbildung [Homework not done yet. Shortcomings and concepts of journalism education]. In B. Dernbach, & W. Loosen (Eds. ), Didaktik der Journalistik. Konzepte, Methoden und Beispiele aus der Journalistenausbildung (pp. 31-44). Wiesbaden: Springer. Donsbach, W. (2012). Weimar 2.0. Über den Verlust des öffentlichen Raumes [Weimar 2.0. About the loss of the public sphere]. In H. Oberreuter (Ed. ), Am Ende der Gewissheiten. Wähler, Parteien und Koalitionen in Bewegung, (pp. 225-244). München: Olzog. Donsbach, W. (2011). Weimar 2.0. Acera de la pérdidad del espacio public. Dialogo Politico, 28(2), 123-135. Donsbach, W. (2011). Tysk självbedrägeri om public service [The self-deception of German public broadcasting]. In TV4Gruppen (Ed. ), Enfald, Mangfald – 9 Röster om Internationell TV (pp. 79-96). Stockholm: TV4Gruppen. Donsbach, W., & Schielick, A.-M. (2011). Verarbeitung des Mordes an Marwa- El-Sherbini in der öffentlichen und veröffentlichten Meinung [Coping with the murder case of Marwa El-Sherbini in public and published opinion]. In Opferberatung des RAASachsen e.V. (Ed. ), Tödliche Realitäten. Der rassistische Mord an Marwa El-Sherbini (pp. 110-125). Hoyerswerda: RAA Sachsen. Donsbach, W. (2011). Essay: Risiken und Nebenwirkungen des Internets für die politische Kommunikation [Risks and Side Effects of the Internet for Political Communication]. SCM Studies in Communication/Media, 0(1), 3-14. In Print: SCM Studies in Communication/Media, 0, 2011, 119-129. Donsbach, W., & Rentsch, M. (2011). Methodische Designs zur Messung subjektiver Einflüsse auf Nachrichtentscheidungen von Journalisten [Methodological designs for measuring subjective influences on journalists‘ news decisons]. In O. Jandura, T. Quandt, & J. Vogelsang (Eds. ), Methoden der Journalismusforschung (pp. 155-170). Wiesbaden: VS Verlag. Donsbach, W. (2010). Wechselbeziehungen zwischen Massenmedien, Politik und Wirtschaft [Interdependence between medioa, politics, and the economy]. In Bundeszentrale für politische Bildung (Ed. ), Informationen zur politischen Bildung (pp. 55-57), Heft 309/2010. Donsbach, W. (2010). Dresden – weltoffene Metropole oder fremdenfeindliche Problemstadt? [Dresden – a cosmopolitain metropole or a xenophobic city of problems?] In Der Sächsische Ausländerbeauftragte (Ed. ): Jahresbericht 2010 (pp. 24-25). Dresden. Donsbach, W., & Obermüller, A. (2010). Demokratischer Wert von Medienpublika. Ein empirisches Gedankenspiel am Beispiel der taz-Leser [The democratic value of media audiences. An empirical essay with the readership of the German newspaper ‚taz‘]. Publizistik, 55(4), 345-364. Donsbach, W., & Jainsch, R. (2011). Talkshows und TV-Duelle in der Mediendemokratie [Talkshows and televised debates in media democracy]. In R. Grünewald, R. Güldenzopf, & M. Piepenschneider (Eds. ), Politische Kommunikation. Beiträge zur politischen Bildung (pp. 191-200). Schriftenreihe Politische Bildung der Konrad-Adenauer-Stiftung, Berlin: Lit-Verlag. Donsbach, W., & Jandura, O. (2010). Personalisierte Werbung in Zeitschriften [Personalized advertisement in magazines]. In J. Woelke, M. Maurer, & O. Jandura (Eds. ), Forschungsmethoden für die Markt- und Organisationskommunikation (pp. 111-126). Köln: Herbert von Halem Verlag. Donsbach, W., & Rentsch, M. (2010). Von der Politiker- zur Journalistenverdrossenheit? [From querulousness towards politicians to querulousness towards journalists?] Die Politische Meinung, 55(3), 21-26. Donsbach, W. (2009). Journalismus als Wissensprofession. Technische und wirtschaftliche Einflüsse erfordern eine neue Definition journalistischer Kompetenz [Journalism as the Knowledge Profession. Technical and economic influences require a new definition of jourtnalistic competence]. In C. Holtz-Bacha, G. Reus, & L. B. Becker (Eds. ), Wissenschaft mit Wirkung. Beiträge zur Journalismus und Medienwirkungsforschung. Festschrift für Klaus Schönbach (pp. 191-204). Wiesbaden: Verlag für Sozialwissenschaften. Donsbach, W., & Jandura, O. (2009). Die ‘vermachteten Medien’ – wem nützte ihre Berichterstattung im Wahlkampf 2005 mehr? [The mighty media – who profited more from the media coverage in 2005?] In H. Oberreuter (Ed. ), Unentschieden. Die erzwungene Koalition (pp. 71-90). München: Olzog Verlag. Donsbach, W. (2008). Multimodale Konstruktvalidierung: Ein Mehrmethodenansatz am Beispiel des Persönlichkeitsmerkmals ‘Need for Cognition’ [Multimodal constrcut validation: a multi-method design testing the construct ‚need for cognition’]. In J. Matthes, G. Daschmann, & A. Fahr (Eds. ), Methoden und Forschungslogik der Kommunikationswissenschaft. Die Brücke zwischen Theorie und Empirie (pp. 326-354). Köln: von Halem Verlag. Donsbach, W. (2008). Hot eller välsignelse? [Menace or Blessing: Public Discourses About Polls]. In O. Petersson (Ed. ), Mediena: folkets röst? Demokratiradets rapport 2008 (pp. 51-79). Stockholm: SNS Förlag. Donsbach, W. (2008). Im Bermuda-Dreieck. Paradoxien im journalistischen Selbstverständnis [In the Bermuda Triangle. Paradoxes in journalists’ role perception]. In B. Pörksen, W. Loosen, & A. Scholl (Eds. ), Paradoxien im Journalismus. Theorie – Empirie – Praxis. Festschrift für Siegfried Weischenberg (pp. 147-164). Wiesbaden: Verlag für Sozialwissenschaften. Donsbach, W. (2007). Die Medien in der globalisierten Welt. Forum Scientia et Sapientiae, 4, 33-39. Donsbach, W. (2007). Journalismusforschung im internationalen Vergleich: Werden die professionellen Kulturen eingeebnet? [Journalism research in an international comparison: Will the professional cultures be levelled?] In G. Melischek, J. Seethaler, & J. Wilke (Eds. ), Medien und Kommunikationsforschung im Vergleich. Grundlagen, Gegenstandsbereiche, Verfahrensweisen (pp. 271-289). Wiesbaden: Verlag für Sozialwissenschaften. Hagen, L. M., & Donsbach, W. (2007). Prävention aus Bevölkerungssicht – Einstellungen und Wege zu ihrer Veränderung [Prevention from the People’s Perspective – Attitudes and Possibilities for Change]. In W. Kirch, B. Badura, & H. Pfaff (Eds. ), Prävention und Versorgungsforschung (pp. 341-357). Heidelberg: Springer 2007. Donsbach, W. (2007). Möglichkeiten der Veränderung des politischen Klimas in den neuen Ländern. Welche Kommunikationsformen mit dem Wähler sind erforderlich? [Possibilities for a Climate-of-Opinion Change in the New Laender]. In M. Borchard (Ed. ), Politische Kultur in den neuen Ländern. Zum Stand der inneren Einheit – eine Zwischenbilanz (pp. 43-59). St. Augustin: Konrad-Adenauer-Stiftung. Donsbach, W. (2007). Journalistische Kompetenz für eine pluralistische Demokratie. In W. J. Patzelt, M. Sebaldt, & U. Kranenpohl (Eds. ), Res publica semper reformanda. Wissenschaft und politische Bildung im Dienste des Gemeinwohls. Festschrift für Heinrich Oberreuter zum 65. Geburtstag (pp. 193-206). Wiesbaden: Verlag für Sozialwissenschaften. Donsbach, W. (2007). Alles nur ein Missverständnis? Wie die Kommunikationswissenschaft die Theorie der kognitiven Dissonanz adaptierte [A Misunderstanding? How communication research adapted the theory of cognitive dissonance]. In S. Trepte, & E. Witte (Eds. ), Sozialpsychologie und Medien. Beiträge des 22. Hamburger Symposiums zur Methodologie der Sozialpsychologie (pp. 11-34). Lengerich u.a. : Pabst Science Publishers. Donsbach, W. (2007). Justiz und Medien im Konflikt [Justice and the Media in Conflict]. In Vereinigung Berliner Strafverteidiger (Ed. ), Wieviel Sicherheit braucht die Freiheit? 30. Strafverteidigertag, Frankfurt am Main. Schriftenreihe der Strafverteidigervereinigungen, Band 30 (pp. 329-348). Berlin: Verlag Thomas Uwer. Donsbach, W., & Müller, D. (2006). Unabhängigkeit von wirtschaftlichen Interessen als Qualitätsindikator im Journalismus. Wie Medien beteiligter Verlage über den Konflikt auf dem Berliner Zeitungsmarkt berichteten [Independence from economic interest as a quality criterion in journalism. How the publications owned by publishers with interests in the deal covered the conflict about the Berlin newspaper market]. In S. Weischenberg, W. Loosen, & M. Beuthner (Eds. ), Medien-Qualitäten. Öffentliche Kommunikation zwischen ökonomischen Kalkül und Sozialverantwortung (pp. 129-147). Konstanz: UVK Medien. Donsbach, W. (2006). Anforderungen an die Profession „Politische Kommunikationsberatung“ aus demokratietheoretischer und kommunikationswissenschaftlicher Sicht [Expectations towards the profession ‚political consulting’ from a democratic and communications research perspective]. In P. Filzmaier, M. Karmasin, & C. Klepp (Eds. ), Politik und Medien – Medien und Politik (pp. 188-200). Wien: WUV. Donsbach, W. (2005). International vergleichende Kommunikatorforschung [International comparative journalism research]. In J. Wilke (Ed. ), Die Aktualität der Anfänge. 40 Jahre Publizistikwissenschaft an der Johannes Gutenberg-Universität Mainz (pp. 158-175). Köln: Herbert von Halem Verlag. Donsbach, W. (2005). Rollenselbstverständnis [Role perceptions]. In S. Weischenberg, H. J. Kleinsteuber, & B. Pörksen (Eds. ), Handbuch Journalismus und Medien (pp. 415-420). Konstanz: UVK Medien. Donsbach, W., Jandura, O., & Müller, D. (2005). Kriegsberichterstatter oder willfährige Propagandisten? Wie deutsche und amerikanische Printmedien die „Embedded Journalists“ im Irak-Krieg sahen [War reporters or compliant propagandists? How German and US print media saw the “embeddeds” during the Irak war]. Medien und Kommunikationswissenschaft, 53(2-3), 298-313. Donsbach, W., & Büttner, K. (2005). Boulevardisierungstrends in deutschen Fernsehnachrichten. Darstellungsmerkmale der Politikberichterstattung vor den Bundestagswahlen 1983, 1990 und 1988 [Trends of tabloidization in German television news. Political coverage before the German federal elections 1983, 1990 and 1998]. Publizistik, 50(1), 21-38. Donsbach, W., Laub, T., Haas, A., & Brosius, H. B. (2005). Anpassungsprozesse in der Kommunikationswissenschaft. Themen und Herkunft der Forschung in den Fachzeitschriften „Publizistik“ und „Medien und Kommunikationswissenschaft“ [Adjustment processes in communication research. Topics and origin of research published in the two major German communications journals]. Medien und Kommunikationswissenschaft, 53(1), 46-72. Donsbach, W., Jandura, O., & Hastall, M. (2004). Neues aus der Fernsehdemokratie: Wahrnehmung und Wirkung des ersten TV-Duells [News from television democracy: perception and effects of the first televized debate]. In H. Oberreuter (Ed. ), Der versäumte Wechsel. Eine Bilanz des Wahljahres 2002 (pp. 136-156). München: Olzog. Donsbach, W. (2004). Politik in der Mediengesellschaft [Politics in media society]. KAS-Schriftenreihe China, 36 (ch/de) (in Chinese and German language). Konrad Adenauer Stiftung: Beijing. Donsbach, W., & Meißner, A. (2004). PR und Nachrichtenagenturen. Missing Link in der kommunikationswissenschaftlichen Forschung [PR and news agencies. The missing link in communication research]. In J. Raupp, & J. Klewes (Eds. ), Quo vadis Public Relations? (pp. 97-112). Wiesbaden: Verlag Sozialwissenschaften. Steglich, K., Danko, F. L., & Donsbach, W. (2004). Anwaltswerbung aus der Sicht der deutscher Anwälte – Ergebnisse einer repräsentativen Umfrage unter DAV-Mitgliedern [How German lawyers see advertisement possibilities for their professionlawyers]. Neue Juristische Wochenschrift (NJW), 57(1), 18-20. Donsbach, W. (2004). Die fünf Lebenslügen des öffentlich-rechtlichen Rundfunks [The five sham existences of public broadcasting in Germany]. Die Politische Meinung (spezial edition „Medien in Deutschland“), 411, 23-28. Peiser, W., Hastall, M., & Donsbach, W. (2003). Zur Lage der Kommunikationswissenschaft und ihrer Fachgesellschaft. Ergebnisse der DGPuK-Mitgliederbefragung 2003 [State-of-the-art of communication research and its German association. Results of the DGPuK membership survey 2003]. Publizistik, 48(3), 310-339. Donsbach, W., & Jandura, O. (2003). Schröder-Bonus statt Kanzler-Bonus. Die Fernsehauftritte der Kanzlerkandidaten von 1998 in den Nachrichten und Nachrichtenmagazinen [Schröder bonus rather than incumbent bonus. The appearances of German candidates in television news and news magazines]. In W. Donsbach, & O. Jandura (Eds. ), Chancen und Gefahren der Mediendemokratie (pp. 226-245). Konstanz: UVK Medien. Donsbach, W., & Jandura, O. (2003). Das ‚DNN-Barometer’ des Instituts für Kommunikationswissenschaft – Brücken zur Gesellschaft zum Wohle der universitären Ausbildung. Wissenschaftliche Zeitschrift der TU Dresden, 1-2, 97-100. Donsbach, W., & Patterson, T. (2003). Journalisten in der politischen Kommunikation. Professionelle Orientierungen von Nachrichtenredakteuren im internationalen Vergleich (Journalists in political communication). In F. Esser, & B. Pfetsch (Eds. ), Politische Kommunikation im internationalen Vergleich. Grundlagen, Anwendungen, Perspektiven (pp. 281-304). Wiesbaden: Westdeutscher Verlag. Donsbach, W. (2002). Ein Plädoyer für die Forschungsfreiheit [A plea for freedom of research]. In Verband Schweizer Marketing- und Sozialforscher SMS (Ed. ), Marketing und Sozialforschung Schweiz: Jahrbuch 2002 (pp. 10-11). Verband Schweizer Marketing- und Sozialforscher SMS. Donsbach, W., & Wenzel, A. (2002). Aktivität und Passivität von Journalisten gegenüber parlamentarischer Pressearbeit [Activity and passivity of journalists towards parliamentary public relations. A content analysis of press releases and press reports about the political parties in the Saxonian parliament]. Publizistik, 47(2002), 373-387. In Spanish (2002): Actividad y pasividad de los periodistas ante el trabajo de prensa de los bloques parlamentarios. In F. Priess (Ed. ): Relacion entre politica y medios (pp. 369-384). Buenos Aires: Fondacion Konrad Adenauer. Donsbach, W. (2002). Sechs Gründe gegen Fernsehduelle [Six reasons against televised debates]. Die Politische Meinung, 47(396), 19-25. Donsbach, W. (2002). Psychologische Faktoren hinter Nachrichtenentscheidungen [Psychological factors behind news decisions]. In U. Nawratil, P. Schönhagen, & H. Starkulla jr. (Eds. ), Medien und Mittler sozialer Kommunikation. Festschrift für Hans Wagner (pp. 203-224). Leipzig: Leipziger Universitätsverlag. Donsbach, W. (2002). Journalismus (Journalism). In E. Noelle, W. Schulz, & J. Wilke (Eds. ), Publizistik-Massenkommunikation (Fischer-Lexikon) (pp. 78-125) (new edition). Frankfurt am Main: Fischer. Donsbach, W. (2002). Elisabeth Noelle-Neumann: Die Schweigespirale. In C. Holtz-Bacha, & A. Kutsch (Eds. ), Schlüsselwerke für die Kommunikationswissenschaft [Key Works of Communication Research] (pp. 336-339). Opladen: Westdeutscher Verlag. Donsbach, W. (2002). Leon Festinger. A Theory of Cognitive Dissonance. In C. Holtz-Bacha, & A. Kutsch (Eds. ), Schlüsselwerke für die Kommunikationswissenschaft [Key Works of Communication Research] (pp. 139-142). Opladen 2002: Westdeutscher Verlag. Donsbach, W. (2002). Herbert Gans: Deciding What’s News. In C. Holtz-Bacha, & A. Kutsch (Eds. ), Schlüsselwerke für die Kommunikationswissenschaft (pp. 149-152). Opladen: Westdeutscher Verlag. Donsbach, W. (2001). Elisabeth Noelle zum 85. Geburtstag. Die Politische Meinung, 46(385), 66. Donsbach, W. (2001). Kann es Grundwerte für Verhaltens-Kodexe in der Medienwelt geben? Themen und Frequenzen. Magazin der Sächsischen Landesanstalt für privaten Rundfunk und neue Medien, 3, 7. Donsbach, W. (2001). Der kollektive Irrtum. Der Tod des kleinen Joseph: Warum Sebnitz zum Lehrstück über Journalismus wurde [Collective error. Little Joseph’s death: What Sebnitz taught us about journalism]. Wissenschaftliche Zeitschrift der TU Dresden, 50(1/2), 27-28. Donsbach, W., & A. Willkommen (2001). Störfall im Mediensystem. Wie die Medien über die Vorkommnisse in Sebnitz berichteten [Breakdown in the media system. How the media covered the Sebnitz case]. Wissenschaftliche Zeitschrift der TU Dresden, 50(1/2), 20-26. Donsbach, W., & Jandura, O. (2001). Der Bundestagswahlkampf 1998 in ost- und westdeutschen Tageszeitungen [The 1998 German campaign in east and west-German dailies]. H. Oberreuter (Ed. ), Umbruch. Wähler, Parteien, Kommunikation (pp. 139-159). München: Olzog. Donsbach, W. (2001). Wahrheit in den Medien. Über den Sinn eines methodischen Objektivitätsbegriffs [Truth in den media. About a methodological concept of objectivity]. Die Politische Meinung, 46(381), , 65-74 (also in Zeitschrift für medizinische Ethik, 47 (2001), 349-61). Knobloch, S., & Donsbach, W. (2001). Lust und Frust mit Medien. Kommunikation und Kommunikationswissenschaft [Gratifications and frust through the media]. Wissenschaftliche Zeitschrift der TU Dresden, 50(1/2), 1-3. Donsbach, W. (2000). Objektivität, Tatsachen, Aussagen, Meinungen [Objectivity, facts, assessments, opinions]. In Gesellschaft für Rechtspolitik Trier (Eds. ), Bitburger Gespräche, Jahrbuch 1999/I (pp. 49-72). München: Beck’sche Verlagsbuchhandlung. Donsbach, W., & Jandura, O. (2000). Struktur und Effizienz der Parteien-PR im Wahlkampf 1998 [Structure and efficiency of the parties’ public relations in the German campaign 1998]. Public Relations Forum, 60(2), 62-65. Donsbach, W. (1999). Medienberichterstattung als Grundlage gesellschaftlicher Entscheidungsfindung [Media content as a basis for social decision-making]. In K. Pinkau, & C. Stahlberg (Eds. ), Zukunft der Aufklärung. Eine Publikation der Kar Heinz Beckurts-Stiftung (pp. 9-21). Stuttgart, Leipzig: S. Hirzel Verlag. Donsbach, W. (1999). [Journalism and professional role definition of journalists]. In J. Wilke (Ed. ), Mediengeschichte der Bundesrepublik Deutschland (pp. 489-517). Köln, Weimar, Wien: Böhlau. Donsbach, W. (1998). Mediennutzung in der Informationsgesellschaft [Media Use in the Information Society]. In W. A. Mahle (Ed. 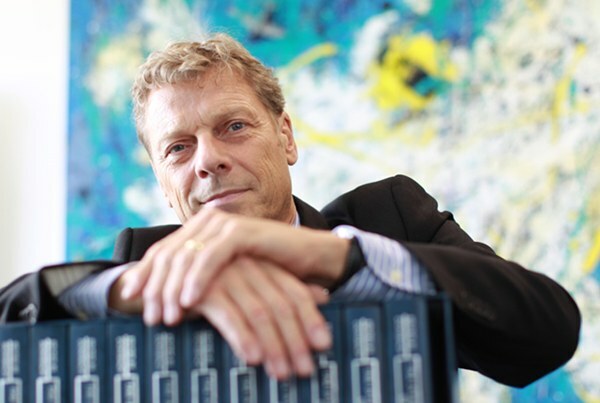 ), Kultur in der Informationsgesellschaft (pp. 25-35). Konstanz: Universitätsverlag Konstanz. Donsbach, W. (1997). Einleitung. Legitimität und Effizienz von PR [Introduction: Legitimacy and Efficiency of Public Relations]. In W. Donsbach (Ed. ), Public Relations in Theorie und Praxis. Grundlagen und Arbeitsweisen der Öffentlichkeitsarbeit in verschiedenen Funktion (pp. 7-20). München: Reinhard Fischer. Donsbach, W., & Klett, B. (1996). Wie Massenmedien Wahlen beeinflussen [How the news media influence elections]. In H. Oberreuter (Ed. ): Parteiensystem am Wendepunkt.? Wahlen in der Fernsehdemokratie (pp. 121-136). München: Olzog. Donsbach, W. (1996). Der Medien Tenor. Kontinuierliche Inhaltsanalyse der deutschen Nachrichtenmedien [The Media Tenor. Continuous content analysis of the German news media]. Planung und Analyse, 2, 58-63. Donsbach, W., von Blomber, C., & Wolling, J. (1996). Repräsentation politischer Positionen im Mediensystem aus der Sicht deutscher und amerikanischer Journalisten [Representation of political positions in the media system in the views of German and US journalists]. In W. Hömberg, & H. Pürer (Eds. ), Medien-Transformation. Zehn Jahre dualer Rundfunk in Deutschland (pp. 343-356). Konstanz: UVK Medien Verlagsgesellschaft. Donsbach, W. (1995). Der Medientenor im Wahlkampf [Media Tenor in the Election Campaign]. Die Politische Meinung, 40(303), 91-95. Donsbach, W. (1995). Mit kleinen Schritten voran. Zum Stand der Medienwirkungsforschung zu Beginn der neunziger Jahre [Progress in small steps: the state-of-the-art of media effects research at the beginning of the nineties]. In O. Jarren (Ed. ), Medien und Journalismus 2. Eine Einführung (pp. 51-74). Opladen: Westdeutscher Verlag. 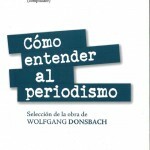 Donsbach, W., & Wolling, J. (1995). Redaktionelle Kontrolle in der regionalen und überregionalen Tagespresse. Ein internationaler Vergleich [Editorial control at regional and national newspapers. An international comparison] In B. Schneider, K. Reumann, & P. Schiwy (Eds. ), Publizistik. Beiträge zur Medienentwicklung (Festschrift für Walter J. Schütz) (pp. 421-437). Konstanz: UKW-Medien Verl.-Ges. Donsbach, W. (1995). Medien und Politik. Ein internationaler Vergleich [Media and politics. An international comparison]. In K. Armington, & R. Blum (Eds. ), Das öffentliche Theater. Politik und Medien in der Demokratie (pp. 17-39). Bern, Stuttgart, Wien: Haupt. Mattenklott, A., Donsbach, W., & Brosius, H. B. (1995). Die Realität des Fernsehzuschauers: die Illusion des Augenzeugen [The Reality of the TV Viewer: The Illusion of the Eyewitness]. In B. Franzmann, W. D. Fröh­lich, H. Hoffmann, B. Spörri, & R. Zitzlsperger (Eds. ), Auf den Schultern von Gutenberg (pp. 252-263). Berlin, München: Quintessenz-Verlag. Donsbach, W., & Dupré D. (1994). Mehr Vielfalt oder “more of the same” durch mehr Kanäle? Möglichkeiten zum Unterhal­tungsslalom im deutschen Fernsehen zwischen 1983 und 1991 [More Variety or More-of-the through more television channels]. In L. Bosshart, & W. Hoffmann-Riem (Eds. ), Medienlust und Mediennutz. Unterhaltung als öffentliche Kommunikation (pp. 229-247), Konstanz: Ölschläger. Donsbach, W. (1994). Journalist. In E. Noelle-Neumann, W. Schulz, & J. Wilke (Eds. ), Publizistik-Massenkommunikation (Fischer-Lexikon) (pp. 63-91), new edition. Frankfurt am Main: Fischer Taschenbuch Verl. Donsbach, W., & Mathes, R. (1994). Rundfunk (Broadcasting). In E. Noelle-Neumann, W. Schulz, & J. Wilke (Eds. ), Publizistik-Massenkommunikation (Fischer-Lexikon) (pp. 475-518), new edition. Frankfurt am Main: Fischer Taschenbuch Verl. Donsbach, W. (1993). Täter oder Opfer – die Rolle der Massenmedien in der amerikanischen Politik. In Bertelsmann Stiftung (Eds. ), Bezie­hungsspiele – Medien und Politik in der öffentlichen Diskussion. Fallstudien und Analysen von Wolfgang Donsbach, Otfried Jarren, Hans Mathias Kepplinger, Barbara Pfetsch (pp. 221-281). Verlag Bertelsmann Stiftung: Gütersloh. Donsbach, W. (1993). Journalismus versus journalism – ein Vergleich zum Verhältnis von Medien und Politik in Deutschland und in den USA. In Bertelsmann Stiftung (Eds. ), Bezie­hungsspiele – Medien und Politik in der öffentli­chen Diskussion. Fallstudien und Analysen von Wolfgang Donsbach, Otfried Jarren, Hans Mathias Kepplinger, Barbara Pfetsch (pp. 283-315). Verlag Bertelsmann Stiftung: Gütersloh. Donsbach, W. (1993). Redaktionelle Kontrolle im Journalismus. Ein internationaler Vergleich [Editorial control in newsrooms. An international comparison]. In W. A. Mahle (Ed. ), Journalisten in Deutschland. Nationale und internationale Vergleiche und Perspektiven (pp. 143-160). München: Ölschläger. Donsbach, W. (1993). Das Verhältnis von Journalismus und Politik im internationalen Vergleich [The press-politics relationship in international comparison]. In Bürger fragen Journalisten e.V. (Eds. ), Medien in Europa. Angst als publizistische Strategie (pp. 67-82). Erlangen. Donsbach, W. (1993). Zum Stand der Journalistenausbildung in Deutschland. La formation der journalistes en Allemagne [Journalism training and education in Germany]. In U. E. Koch, D. Schröter, & P. Albert (Eds. ): Medienbilder. Ima­ges Médiatique (pp. 343-350). München: R. Fischer. Donsbach, W. (1993). Inhalte, Nutzung und Wirkung politischer Kommunikation [Contents, Exposure and Effects of Political Communication]. Österreichische Zeitschrift für Politikwissenschaft, 22(4), 389-407. 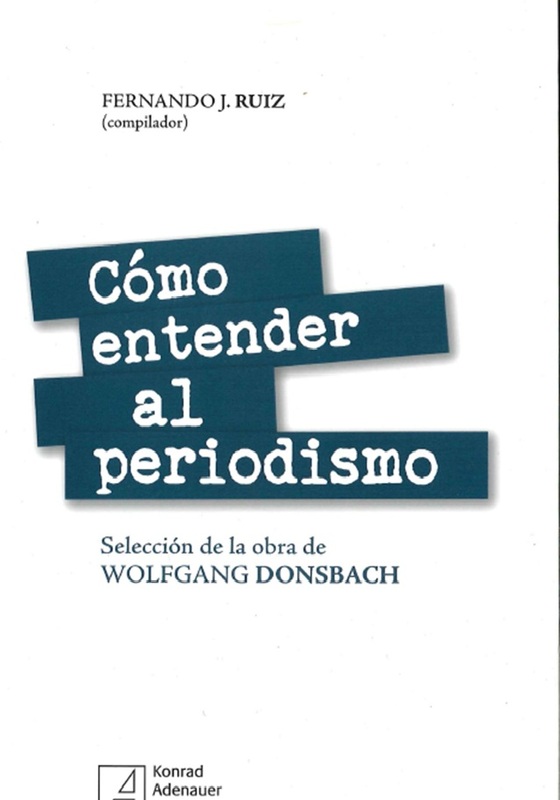 Spanish version: Donsbach, W. (1995). Contenidos, utilización y efectos de la Comunicación Politíca. In A. Munoz-Alonso, & J. I. Rospir (Eds. ): Comunicación Política (pp. 41-67). Madrid: Editorial Universitas. Donsbach, W. (1993). Die zweite Realität. Experimentelle Studie zur Wahrnehmung einer Wahlveranstaltung durch Teilnehmer und Fernsehzuschauer [Second-Hand Reality. Experimental Studies on the Perception of a Campaign Event By Participants and Television Viewers]. In C. Holtz-Bacha, & L. Kaid (Eds. ), Politische Medienwirkungen (pp. 185-207). Opladen: Westdeutscher Verlag. Barth, H., & Donsbach, W. (1992). Aktivität und Passivität von Journalisten gegenüber Public Relations [how journalists handle public relations material]. Publizistik, 37(2), 151-165. Donsbach, W. (1992). Die Selektivität der Rezipienten. Faktoren, die die Zuwendung zu Zeitungsinhalten beeinflussen [Audience selectivity. Factors influencing exposure to newspaper content]. In W. Schulz (Ed. ): Medienwirkungen. Einflüsse von Presse, Radio, Fernsehen auf Individuum und Gesellschaft (pp. 25-70). Weinheim: VCH. Donsbach, W. (1992). Medienwirkungsforschung in ländlichen Gebieten Tunesiens: Methodische Probleme einer Panel-Untersuchung [Media effects research in rural areas of Tunisia. Methods and problems of a panel survey]. In C. Richter, E. K. Scheuch, & H.D. Seibel (Eds. ), Empiri­sche So­zialforschung über Entwicklungsländer. Methodenprobleme und Praxisbezug (pp. 237-285). Saarbrücken, Fort Lauderdale: Breitenbach Publishers. Donsbach, W. & Dupré, D. (1992). Programmvielfalt im dualen Rundfunksystem [Program Choice in German Television]. Baromedia, 8, 10-23. Donsbach, W., & Klett, B. (1992). Verspätete Einheit? Zur Rolle des Journalismus in der Deutschlandpolitik [Delayed Unification. The Role of Journalism in Inner-German Politics]. Medien und Zeit, 7(2), 8-10. Re-print: Medien-Kritik 26(1992), 2-5. Donsbach, W. (1990). La Radiodiffusion et la télévision en République Fédérale d`Allemagne [Radio and television in Germany]. In P. Albert, W. S. Freund, & U. E. Koch (Eds. ), Allemagne-France. Deux paysage médiatiques – Frankreich-Deutschland. Medien im Vergleich (pp. 167-186). Frankfurt am Main: Lang. Donsbach, W. (1990). Aspekte des Meinungsbildungsprozesses – der politische Einfluß der Medien [Aspects of opinion formation. The political influence of the mass media]. In G. Hütter, & H. Linke (Eds. ), Informiert bis zur Unmündigkeit? Einfluß und politische Verantwortung der Medien in der Bundesrepublik Deutschland (pp. 36-63). Herford, Bonn: Maximilian-Verlag. Donsbach, W. (1990). Journalistikstudenten im internationalen Vergleich [An international comparison of journalism students]. Publizistik, 35(4), 408-427. Donsbach, W. (1990). Medien-Ethik aus der Sicht der empirischen Journalismusforschung [Media ethics as seen from the perspective of empirical communication research]. In W. v. Bredow (Ed. ), Medien und Gesellschaft (pp. 155-174). Stuttgart: Hirzel. Donsbach, W. (1990). Selektivität im Prozeß der Medienwirkungen. Methodischer Neuansatz zu einem klassischen Thema [Selectivity in the process of media effects]. In J. Wilke (Ed. ), Fortschritte der Publizistikwissenschaft (pp. 129-145). Freiburg, München: Alber. Donsbach, W. (1990). Wahrnehmung von redaktionellen Tendenzen durch Zeitungsleser [newspaper readers’ perception of editorial leanings]. Medienpsychologie, 2(4), 275-301. Donsbach, W. (1990). Los Valores Profesionales de los Periodistas Europeos [Professional values of European journalists]. In J. F. Sánchez (Ed. ), El Nuevo Mapa Informativo Europeo (pp. 43-75). Pamplona. Donsbach, W. (1990). Objektivitätsmaße in der Publizistikwissenschaft [Measures of objectivity in communication research]. Publizistik, 35(1), 18-29. Donsbach, W. (1990). Selektivität im Prozess der Medienwirkungen. Methodischer Neuansatz zu einem klassi­schen Thema. In J. Wilke (Ed. ), Fortschritte der Publizistikwissenschaft (pp. 129-145). Freiburg und Mün­chen. Donsbach, W. (1989). Interdependencia entre los medios de communicación y la investigación sobre opinión públi­ca [Interdependence of mass media, public opinion, and public opinion research]. Communicacion y Sociedad, 2, 7-30. Donsbach, W. (1989). Selektive Zuwendung zu Medieninhalten. Einflussfaktoren auf die Auswahlentscheidungen der Rezipienten [Selective exposure to media content]. In M. Kaase, & W. Schulz (Eds. ), Massenkommunikation (pp. 392-405). Opladen: Westdeutscher Verlag. Donsbach, W. (1989). Journalist. In E. Noelle-Neumann, W. Schulz, & J. Wilke (Eds. ), Publizistik-Massenkommunikation (Fischer-Lexikon) (pp. 50-69). Frankfurt am Main: Fischer Taschenbuch Verlag. Donsbach, W., & Mathes, R. (1989). Rundfunk [Broadcasting]. In E. Noelle-Neumann, W. Schulz, & J. Wilke (Eds. ), Publizistik-Massenkommunikation (Fischer-Lexikon) (pp. 330-360). Frankfurt am Main: Fischer Taschenbuch Verlag. Donsbach, W., & Kepplinger, H. M. (1988). Dallas und Mohamed. Wie das Fernsehen das Denken und Leben in ländlichen Regionen Tunesiens veränderte [Dallas and Mohamed. How television changed life in rural areas of Tunisia]. Forschungsmagazin, 2, 35-40. Donsbach, W. (1988). Formen von Medienwirkungen und Ansätze der Medienwirkungsforschung [Types of media effects and approaches of effects research]. In S. Quandt (Ed. ), Fachjournalismus im Gespräch (pp. 38-55). Gießen: University of Gießen. Donsbach, W., & Kepplinger, H. M (1987). Der Einfluss von Kameraperspektiven auf die Auffälligkeit und wahrgenommene Tendenz sowie die Informationsvermittlung und die Personenwahrnehmung [The influence of camera angles on information transfer and the perception of a speaker]. In H. M. Kepplinger et al. (Eds. ): Darstellungseffekte (pp. 93-124). Freiburg i.B. : Verlag Karl Alber. Donsbach, W. (1987). Die Theorie der Schweigespirale [The spiral of silence theory]. In M. Schenk (Ed. ): Medienwirkungsforschung (pp. 324-343). Tübingen: Mohr. Donsbach, W., & Kepplinger, H. M. (1987). Der Einfluss von Einstellungsgrößen und Mikrofonstellungen auf die Wahrnehmung eines Redners [The influence of microphone positions and camera shots on the perception of a speaker]. In H. M. Kepplinger et al. (Eds. ), Darstellungseffekte (pp. 136‑146). Freiburg i.B. : Verlag Karl Alber. Donsbach, W. (1987). Journalismusforschung in der Bundesrepublik: Offene Fragen trotz ‘Forschungsboom’ [State-of-the-art of journalism research in Germany]. In J. Wilke (Ed. ), Zwischenbilanz der Journalistenausbildung (pp. 105-142). München: Ölschläger. Kepplinger, H. M., & Donsbach, W. (1987). Der Münchner Katholikentag 1984 im Fernsehen [The German Catholic Convention on Television]. In H. Maier, O. B. Roegele, & M. Spieker (Eds. ), Katholikentage im Fernsehen (pp. 57-71). Paderborn et al. : Schöningh. Donsbach, W. (1987). Abkehr von globalen Fragen. Zum Stand der Medienwirkungsforschung [Withdrawal from global questions: State of the art of media effects research]. Weiterbildung und Medien, 10(6), 31‑35. Donsbach, W., & Stevenson, R. L. (1986). Herausforderungen, Probleme und empirische Evidenzen der Theorie der Schweigespirale [Challenges, problems and empirical evidences of the spiral of silence theory]. Publizistik, 31(1/2), 7-34. Kepplinger, H. M., Donsbach, W., Brosius, H. B., & Staab, J. F. (1986). Medientenor und Bevölkerungsmeinung. Eine empirische Studie zum Image Helmut Kohls [Tenor of the media and population’s opinion : an empirical study on Helmut Kohl’s image]. Kölner Zeitschrift für Soziologie, 38(2), 247-279. Donsbach, W., Hamdane, M., Kembi, M. A., Kepplinger, H. M., & Skik, R. (1985). Les éffets de la télévision dans un milieu rural Tunisien [The effects of television in a rural environment in Tunisia]. Communications, 11(2), 75‑97. Donsbach, W. (1984). Die Rolle der Demoskopie in der Wahlkampf-Kommunikation [The role of public opinion research in election communication]. Zeitschrift für Politik, 31, 388‑407. Kepplinger, H. M., & Donsbach, W. (1983). Der Einfluss der Kameraperspektive auf die Wahrnehmung eines Parteiredners durch Anhänger, Gegner und neutrale Zuschauer [The influence of camera angles on the perception of a speaker]. In W. Schulz, & K. Schönbach (Eds. ), Massenmedien und Wahlen (pp. 406-423). München: Ölschläger. Re-prints: In H. M. Kepplinger et al. (Eds. ), Darstellungseffekte. Freiburg, München: Alber, 146‑164. Donsbach, W. (1982). Vue d`ensemble sur un démi-siècle de recherche sur les éffets des mass média [A brief history of media effects research]. In Institut de Presse et des Sciences de l`Information de l`Université de Tunis (Ed. ), Enquète empirique: Depouillement des données recueilles (pp. 26-38). Tunis. Noelle-Neumann, E., & Donsbach, W. (1982). Communication et médias: Les orientations de la recherche en Europe: L`Allemagne Fédérale [Communication and media: Orientations of research in the Federal Republic of Germany]. Les Cahiers de la Communication, 2, 301-325. Donsbach, W. (1981). Politik als Beruf? Zur Legitimationskrise der Massenmedien in der Bundesrepublik Deutschland [Politics as a profession? – The legitimacy question of German mass media]. Politische Studien, 32, 127-136. Donsbach, W. (1981). Journalisten zwischen Publikum und Kollegen. Forschungsergebnisse zum Publikumsbild und zur In-group-Orientierung von Journalisten [Journalists between audience and colleagues]. Rundfunk und Fernsehen, 29, 168-184. Re-print (1985): In D. Prokop (Ed. ), Medienforschung (pp. 442-467). Frankfurt am Main: Fischer. Donsbach, W. (1980). Neue Aufsichtsgremien für Neue Medien? Gestaltungsmöglichkeiten und Forschungsfragen für Kontrollgremien lokaler Fernsehanstalten [Structures of advisory boards for the new media of communication]. In C. Eurich (Ed. ), Lokales Bürgerfernsehen – und die Erforschung seiner Wirkungen (pp. 129-143). München: Ölschläger. Donsbach, W., Emnet, B., & Ohlinger, A. (1980). Studienabbruch: Schicksalsschlag oder Karriereeinstieg? Zwei Umfragen unter ehemaligen Studenten der Fächer Publizistik und Germanistik an der Universität Mainz [Drop-outs: misfortune or career step?]. Publizistik, 25, 555‑578. Donsbach, W. (1979). Aus eigenem Recht. Legitimitätsbewußtsein und Legitimationsgründe von Journalisten [Journalists’ attitudes towards legitimacy]. In H. M. Kepplinger (Ed. ), Angepaßte Außenseiter. Was Journalisten denken und wie sie arbeiten (pp. 29-48). Freiburg, München: Alber. Donsbach, W. (1979). Kommunikationswissenschaftler ante portas. Journalisten-Einstellungen zur Journalisten-Ausbildung [Journalists’ attitudes towards professional training]. In H. M. Kepplinger (Ed. ), Angepaßte Außenseiter (pp. 210-222). Freiburg, München: Alber. Donsbach, W. (1978). Zur professionellen Kompetenz von Journalisten [The professional competence of journalists]. In W. Hömberg (Ed. ), Journalistenausbildung. Modelle, Erfahrungen, Analysen (pp. 108-121). München: Ölschläger. Donsbach, W. (1978). Publizistikwissenschaft und Beruf. Ergebnisse einer Umfrage unter Absolventen des Instituts für Publizistik Mainz [The role of communication studies for the profession]. Publizistik, 23, 297-306. Donsbach, W. (1977). Ausbildungs- und Legitimationsdefizite im Journalismus [Competence and legitimacy in journalism]. Rundfunk und Fernsehen, 25, 230-243.